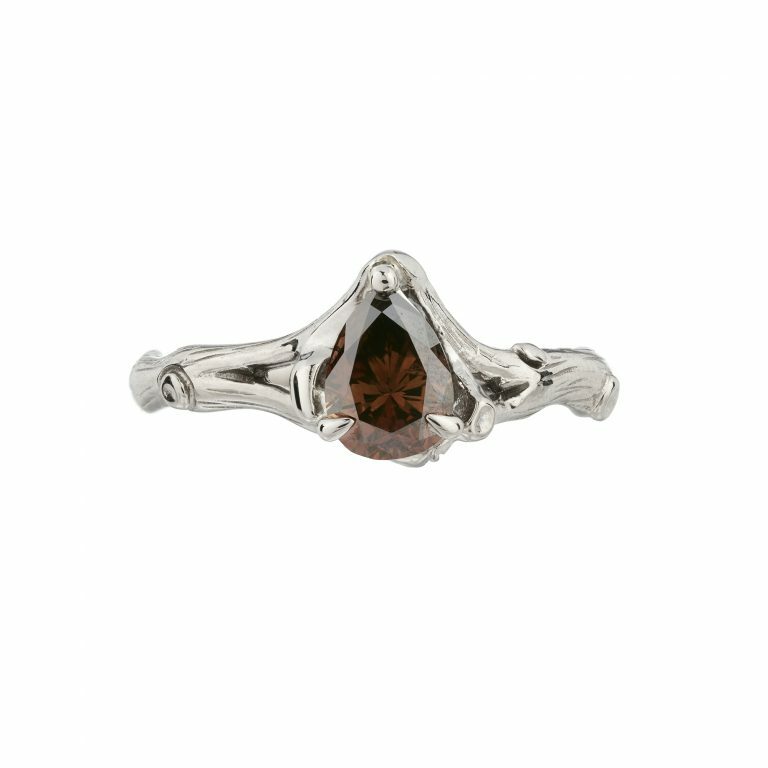 Stunning 18ct white gold Woodland engagement ring claw-set with a beautiful pear-shaped chocolate diamond weighing 0.66cts. The band is delicately textured like a twig and the shank splits up to the setting. 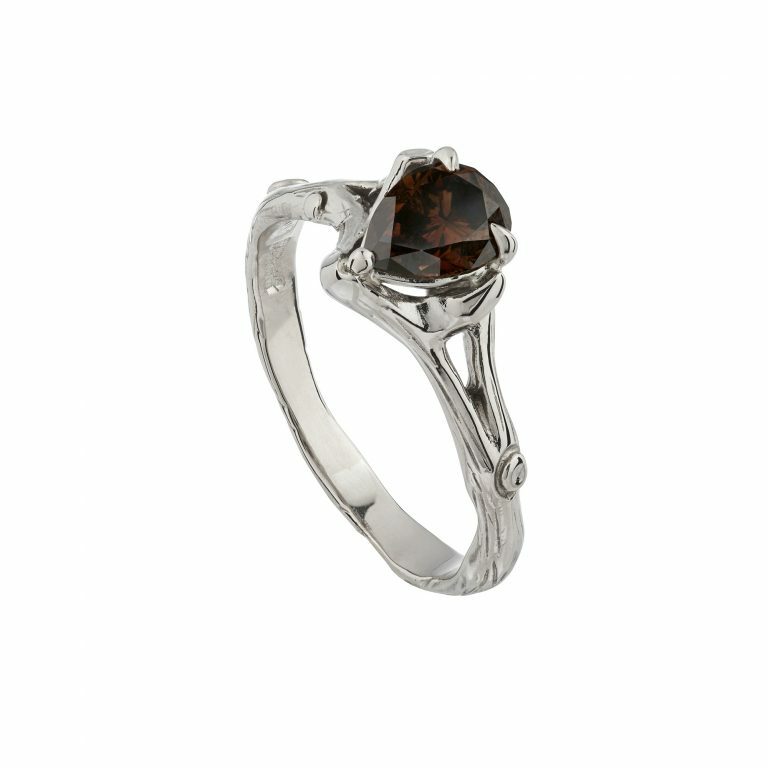 The ring is a size J. 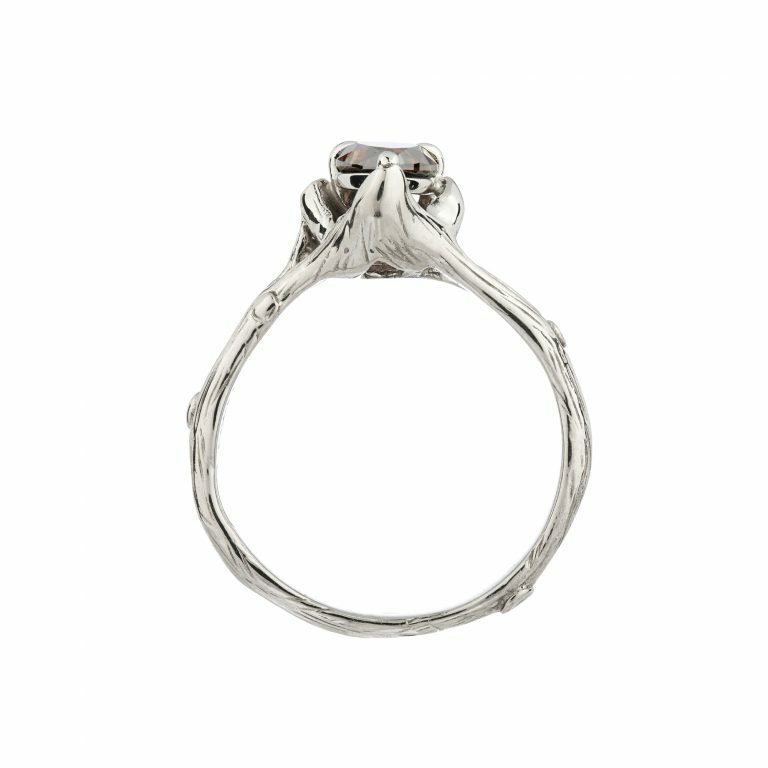 If this ring is not in stock or you require a different metal please contact us – we can make this ring to order in 6 weeks or if you need a similar size we can size the ring within a week.